Fr. Martial Oya was born in July 1975 in French-Cameroon to a great Catholic family. He is the youngest of 5 sisters and 2 brothers. As early at the age of six, he wanted nothing more than to be a priest. He entered the seminary when he was 22 years old. He earned degrees in philosophy and theology. Shortly before diaconate ordination, he started having lingering doubts and questions about his vocation to the priesthood. As a result, he chose to take a break in order to discern. In his process of discerning, Father Martial moved to the U.S. and lived in the Bronx, NY. He eventually became convinced God was calling him to the priesthood, and he was accepted as a seminarian for the Archdiocese of Galveston-Houston. He was ordained a priest on January 14, 2012 at the Co-Cathedral of Sacred Heart by Daniel Cardinal DiNardo. His first assignment as a parochial vicar was at St. Ignatius Church in Spring, TX where he served 2½ wonderful years before his second assignment here at the Co-Cathedral. 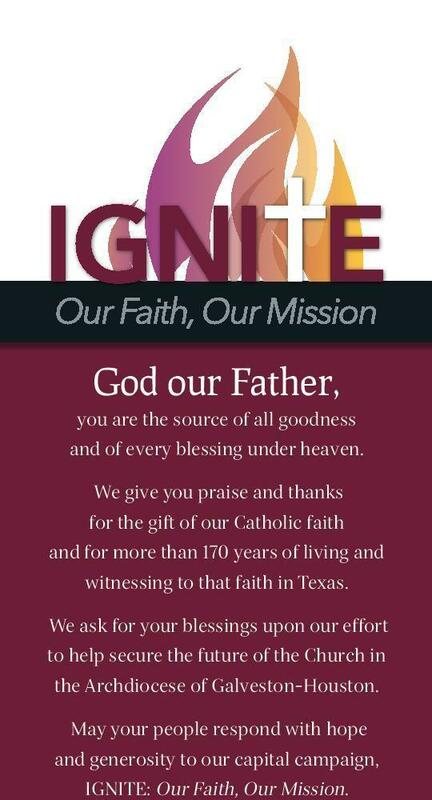 On May 22, 2015 Daniel Cardinal DiNardo appointed him Administrator of St. Matthew the Evangelist in Houston. Fr. Martial also serves as the National Adviser of the Cameroonian Apostolate in the U.S. Fr. Martial enjoys walking, playing soccer, reading, spending time with friends watching NFL games and he is a great Texans Fan. Go Texans!!! Fr. Martial is very excited and looks forward to join St. Matthew the Evangelist Family on June 15, 2015.